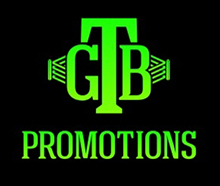 On Saturday, January 21, 2017, at the UIC Pavilion in Chicago, Warriors Boxing Promotions returns to action with another instalment of the “Windy City Fight Nights” series of boxing shows. Designed to showcase the best of Chicago’s up-and-coming talent, this WCFN will feature undefeated super welterweight Achour Esho taking on the always tough Anthony Abbruzzese for the ABO Regional Jr. Middleweight Championship in the night’s eight-round main event. In the night’s six-round co-main event will be super featherweight knockout artist Josh Hernandez (4-0, 4 KOs) of Chicago; as well as four-round bouts featuring undefeated Chicago lightweight Yousif Saleh (1-0); super middleweight Ruben Schobitz (1-0, 1 KO) of Miami via Spain; Warriors Boxing’s first-ever female fighter, Chicago lightweight Jessica McCaskill (2-1, 2 KOs); East Chicago, Indiana, super bantamweight Francisco Saldana (2-0, 1 KO); and Palatine, Illinois, flyweight Javier Rivera (3-0, 1 KO). Warriors Boxing Vice President Dominic Pesoli created the Windy City Fight Night series to introduce and develop local and international boxing talent, many of whom went on to become world champions and top contenders, including Andrzej Fonfara and Adrian Granados from Chicago, as well as international imports such as current light heavyweight champion Sergei Kovalev. Windy City Fight Night is proudly sponsored by Abt Electronics, Output Lounge/Sports Bar, Unanimous Boxing Gym, and Holiday Inn & Suites Chicago O’Hare - Rosemont. On fight night, doors open at 7:00 pm CT and the action starts at 8:00 pm. The UIC Pavilion is located at 525 S. Racine Avenue in Chicago. The entire bout card is subject to change.